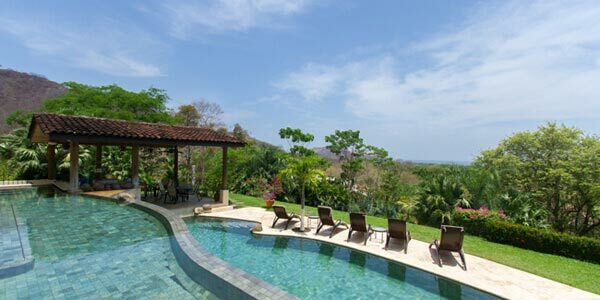 Couple Friendly Hotels Costa Rica - Find the best couple hotels. No matter what stage of life you find yourself, from empty nesters to no kids, to just escaping the kids, Costa Rica is perfect for sharing. Couples friendly hotels in Costa Rica offer everything you could want or need to make the perfect vacation. Villa Caletas is the best hotel in Costa Rica for sunset cocktails. The oceanfront, luxurious boutique hotel is just an hour away from San José. Costa Rica is a country that offers so much; however, for couples it’s just a little bit extra special. Imagine sharing a massage at sunset on a pristine beach, sipping cocktails by the pool, or just lounging together in a hammock. For those couples seeking a little more thrill in their vacation you could be riding the rapids on a adventure rafting tour or gliding through the canopy on a zip line. Or how about taking up surfing together, paddleboarding on a lake, or enjoying a fishing adventure. The opportunities to share unique and new experiences are almost limitless. Many of the hotels that Costa Rica offers are unique and boutique, with over 80% of hotels offering less than 40 rooms. These hotels can be very personal and intimate, which is ideal when traveling to Costa Rica as a couple. You will feel like no one is around, until you need something and then your wishes will be well catered to. There are also a number of hotels that are adult only, helping to create a more sophisticated environment. These hotels are really aimed at an adult only experience and these are the hotels we have featured here on this page. For couples looking to celebrate a unique and memorable experience such as an anniversary then a couple friendly hotel located in Costa Rica is a perfect setting. In fact Costa Rica is home to one of the most romantic hotels in the world, the Nayara Springs. With lush vegetation, the stirring sounds of the jungles and life and vibrancy everywhere, a vacation in Costa Rica is sure to draw you closer to anyone you spend time with here. Hot springs, warm oceans and healthy living will all help to create the perfect couple friendly vacation. 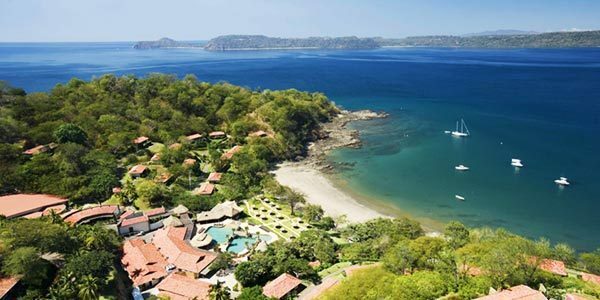 Want to find out more about what is the best destination or hotel for your Costa Rican honeymoon? Our Costa Rica travel expert, Rodo Alvarez hosted webinar with Travel Consultant Lisa Cederberg. In this quick webinar, both shared their tips on which destinations are perfect for honeymooners. Lisa, who has been living in Costa Rica for almost a decade now, has substantial experience in planning honeymoons with our clients. If you’re more than ready to tie the know but are still unsure on where to vacation, you can listen to Lisa’s expertise. You can listen to their webinar, “Secrets of Honeymoons in Costa Rica”, here. Don’t miss this opportunity for you to find out more about planning a honeymoon to Costa Rica!